In the first place,after I flashed it, I installed the supersu as instructed. But when I boot and launched it, it told me I hadn't install the su binary. I power it off and boot into the recovery and found the stock recovery again. I reflashed the phone 3 times with the philz, turned it on and opened the supersu: it started loading and when it reached 80 percent, it kept on closing by default. I reboot into recovery mode and at this time found the philz recovery. 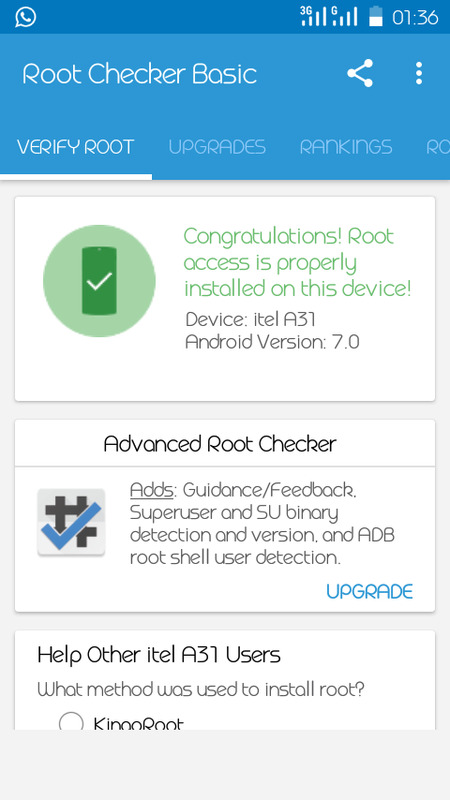 Before that I used the root checker app to verify but no had no root person. So I tried and installed a different version of supersu(2.62) and it really worked.The root checker app had root access afterI had manually uninstalled the v.2. 79. Anyway, I'm very glad to see my recent phone rooted. Great thanks to Havatec.